Stroll Captain&apos;s Row, the picturesque 100 block of Prince Street dating from the 1700s, where sea captains docking at Alexandria wharves once built their homes. 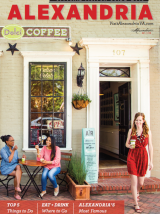 Explore historic King Street, Alexandria&apos;s main thoroughfare decked with red brick, stylish boutiques, award-winning restaurants and unique art galleries. Get pampered with a couples massage at the upscale Kimpton Lorien Hotel & Spa or head to Fountains Day Spa or Sugar House Day Spa and Salon. Set sail on an evening river cruise with the Potomac Riverboat Company for spectacular views of night-lit D.C. monuments. 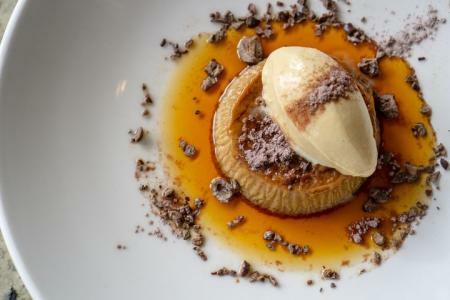 Enjoy a unique culinary experience by trying the tasting menu at one of Alexandria’s many culinary hotspots. 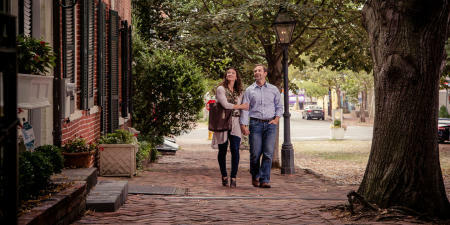 Vermilion offers historic charm with flickering gas lamps and exposed brick interiors that even the Obamas have enjoyed on a Valentine’s Day date. Nasime offers an intimate dining experience where you can savor upscale Japanese cuisine prepared by chef and owner Yuh Shimomura. In North Old Town, head to Hank’s Pasta Bar for a seasonally-driven menu of rustic Italian cuisine and craft cocktails or Bastille for contemporary French cuisine and an extensive wine list. Discover more restaurants. Relax with a craft beer or cocktail at Virtue Feed & Grain, its rustic décor a nod to its previous life as an 18th-century warehouse and now converted into one of Alexandria&apos;s go-to spots. Or catch up over a glass of wine at Sonoma Cellar. Curl up for coffee and brunch at Fontaine Caffe and Creperie, a cozy French-style restaurant with delicious sweet and savory crepes, just off King Street in Old Town. 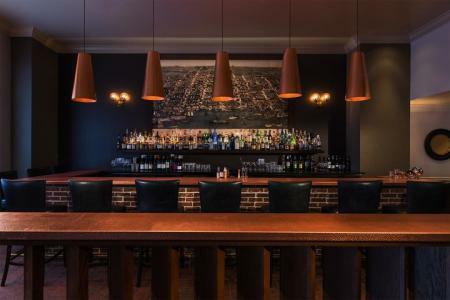 Savor craft cocktails at intimate and trendy spots like Urbano 116, The People’s Drug and Captain Gregory’s a speakeasy hidden inside Sugar Shack Donut Shop. Stay for dinner or late-night eats, as all of these spots offer outstanding savory menus. Find more bars and pubs. 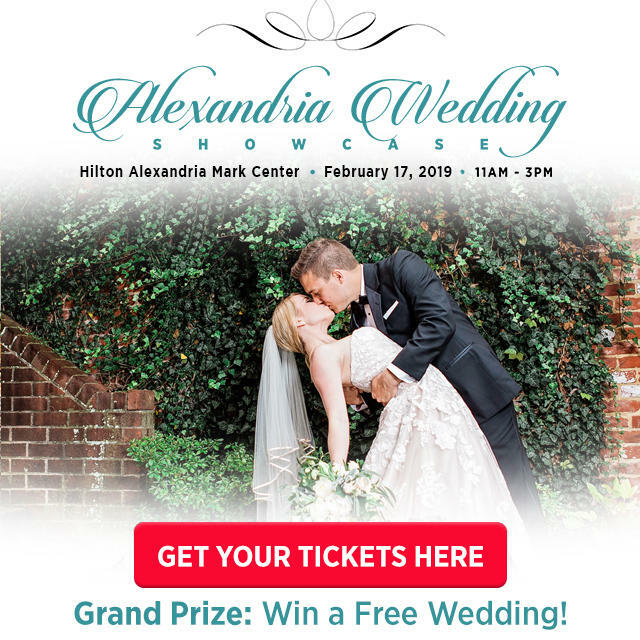 Alexandria’s boutique hotels set the tone for a romantic getaway. Tucked away just off King Street in a Federalist-style building is a AAA four diamond hotel, Morrison House, Autograph Collection. If you prefer waterfront views, head to Hotel Indigo Old Town Alexandria, Alexandria’s only waterfront hotel. 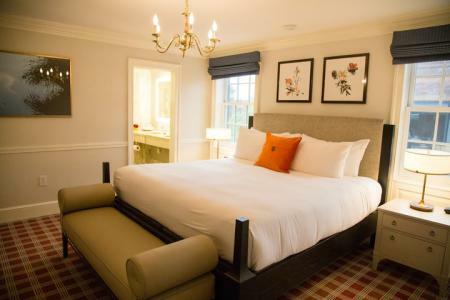 For a room just floors above from an upscale spa, had to Kimpton Lorien Hotel & Spa. See other hotels.